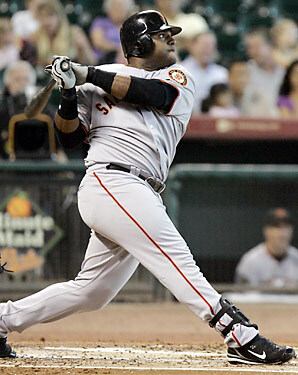 The San Francisco Giants haven’t been too relevant the last five years or so, and even after losing a certain big-headed, big hitter, they became even less relevant. However, after a breakout season from several players (i.e. Matt Cain, Jonathan Sanchez and maybe most impressively Pablo Sandoval), they’ve somehow figured out how to hang around the top of their division even in late September. Their goal for next year? Be at the top of their division in October. It’s a simple goal, really, and one that should be rather easily attained through a few small changes this offseason. The biggest need overall is simple: Power. They need some crack in the bat. The G-men haven’t really produced home runs, even extra base hits or even a decent slugging percentage much the last three years, being one of the last three teams in each category over that time. So, what’ve they done so far, you ask? Well, they’ve added two key players thusfar in this offseason: first baseman Aubrey Huff & third baseman/outfielder Mark DeRosa. At 33 and 34, respectively, it’s clear Brian Sabean isn’t building for the future, as much as he is looking for some results this year, which is exciting. And while both players have been known to hit for power in the past, Huff and DeRosa only combined for 38 home runs last season (Bengie Molina and Pablo Sandoval combined for 45, something any Bay Area fan can tell you was unimpressive throughout the season). Finally, they need a fifth starter in their rotation. Most reporters have speculated that this would be where the Giants would move first, but after acquiring Huff and DeRosa, combined with the fact that Randy Johnson has officially sent in his retirement forms to Bud Selig and Brad Penny was quickly swept away by the St. Louis Cardinals’ lucrative contract offer, this seems to be the only place left to do anything. While there are plenty of starting pitchers available in the free agency pool (…….) most insiders think that Madison Bumgarner will be able to step up and fill the hole. He was amazing in the minors, in fact he won the Most Spectacular Pitcher Award for having the lowest ERA in the minors in 2008. So, hopefully some of that spectacularness translates to the majors this season if indeed he does step in. However, with pitchers and catchers reporting in less than a month, there’s still a little time to make one last move in either a trade or in free agency to complete the starting rotation. That’s the majority of moves and shakes the Giants have been advertising this off season. Hopefully they’ll change it up a little more, but even if they don’t, if they play with the tenacity and drive they did last year, they should make a strong push come September. After signing Jonathan Sanchez, Juan Uribe, and (supposedly) Bengie Molina, most of their free agents are back and resting up for the upcoming season. 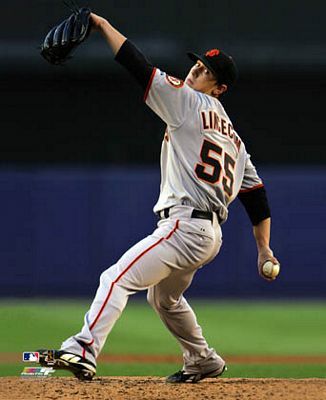 The big question (this week at least) is Tim Lincecum. His arbitration deal is still pending, but it will be somewhere between $8-13 million (no player has ever received more than $10 million in an arbitration deal before). Hopefully, this massive contract (even though it is only a one year deal) doesn’t handcuff the Giants this year, keep them from making any other deals this off season. 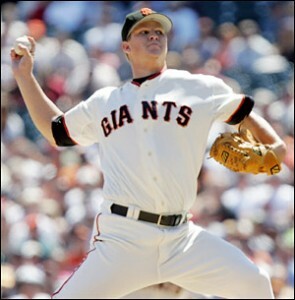 Another rumor starting up over the three-day weekend was Eric Byrnes possibly joining the Giants’ outfield. A Bay Area native and coincidentally one of my all time favorite players, Byrnsy recently said he would love to be back in San Francisco, playing at home. Hopefully Sabean makes this move, as it seems like a more consistent option than Randy Winn has been the last three years. With all these options and plenty more, we can only hope that the Giants are nearly as good as they surprisingly were last year. We can only hope. This entry was posted in Blog, Sports and tagged Bay Area, San Francisco Giants, Sports, Writing.